Everyone should do some basic estate planning—that is, planning to make sure that your wishes are followed after your death, your family is spared unnecessary expense and delay, and that someone you trust will be in charge if you ever become unable to manage things on your own. a durable power of attorney for health care, to name someone to make sure your health care wishes are honored. If you live in Illinois, you may also want to consider probate-avoidance. Probate is a court proceeding, conducted after someone’s death, which gives your executor authority to pay your bills and transfer your assets to the people who inherit them. But probate can be expensive and time-consuming, and many people prefer to avoid it altogether, saving their families money and hassle. Probate can be easily avoided with a living trust or other methods—as long as you act during your lifetime. After your death, your family won’t be able to take steps to avoid probate of your estate. Illinois has an estate tax, but it is imposed on only the wealthiest families. Every person can leave $4 million of assets without paying any tax to the state. 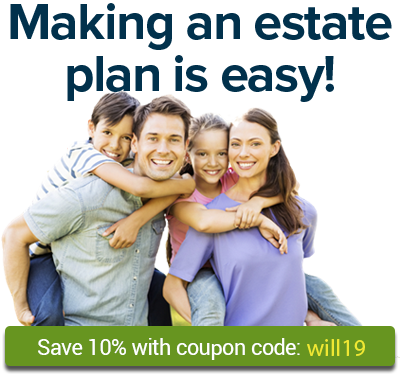 The articles below discuss Illinois estate planning issues. Learn the rules about who can be your executor in Illinois. If you live in Illinois and want to leave a substantial gift to any nonrelative who has recently helped you with personal or health care, see a lawyer first. As of January 2015, Illinois has a new law (Ill. Comp. Stat. Ann. § 5/4a) aimed at preventing caregivers from taking advantage of the people who depend on them. If you die without a will in Illinois, your assets will go to your closest relatives under state “intestate succession” laws. Illinois has its own estate tax, which applies only to estates with a value of more than $4 million. ABLE accounts are bank accounts that allow people with special needs to save money without jeopardizing their disability benefits. The Illinois ABLE program is in development. An Illinois power of attorney for health care and declaration (living will) can keep important decisions in the hands of those you trust. An Illinois POLST form describes your wishes for health care in a medical emergency, but it is not a substitute for a properly prepared durable power of attorney for health care. The Illinois probate process is a court-supervised legal procedure that is sometimes (but not always) required after someone dies. Illinois offers some probate shortcuts for "small estates." These procedures make it easier for survivors to transfer property left by a person who has died. To be part of the solution to the ongoing need for donated organs and tissues, take the following steps to become a donor after your death. In Illinois, you may name the person who will carry out your funeral arrangements. Learn the rules that govern home funerals in Illinois. Illinois was one of the first states to legalize alkaline hydrolysis (AH), and it’s one of just a few states where AH facilities are available to the public. Illinois is not currently considering the adoption of a death with dignity law.